Namecheap is a strong web hosting company which has been in existance since 2000 and has over millions of users. Namecheap is an ICANN accredited registrar, which provide services on domain name registration, and offer for sale domain names that are registered to third parties. It is also a web hosting company, based in Phoenix, Arizona. Set up your domain in your Blogger account. Note: Blogs are not to be placed on bare domains (like yourdomain.tld), so you need to input a subdomain, for example, www.yourdomain.tld or blog.yourdomain.tld. The second CNAME is particular to your blog and your Google Account, and is therefore different for each person. 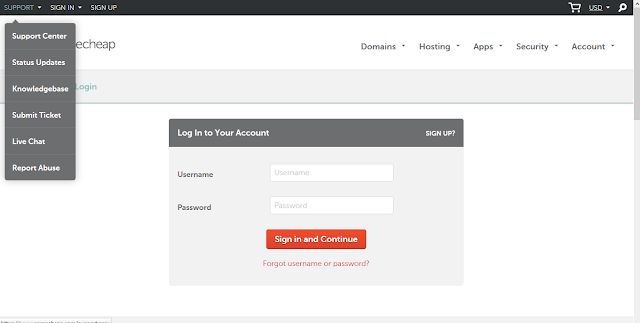 Create records for your domain in your Namecheap account. Sign into your Namecheap account (The Sign In option is available in the top hat of the page). Please make sure that there are no conflicting records set for the same host and remove them, if there are any. The records you need to check may be of URL Redirect (Unmasked/Masked/Permanent Redirect), A or CNAME record types. Before you move onto the final step, wait about half an hour for newly created host records to take effect. If you attempt the final step before your settings are activated, a warning message will show up in your Blogger account. Click on the Edit link to make sure that your bare domain redirects to www subdomain and that is all.